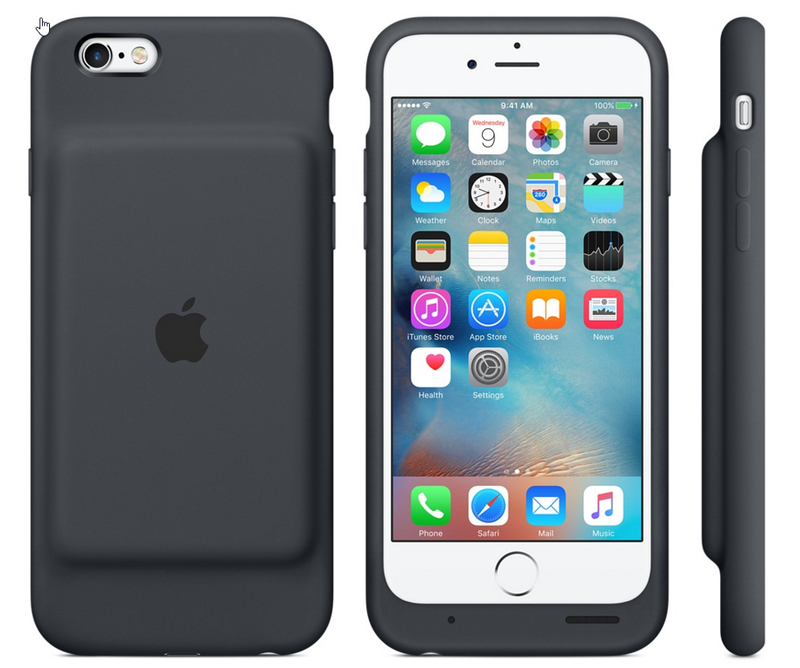 Apple finally did it, they have jumped full-fledged into the iPhone battery case fray with the iPhone 6s Smart Battery Case. Made of durable silicone rubber, this case features a soft microfiber lining to protect your phone and boasts up to 25 hours of additional talk time. The case includes a Lightning to USB cable to charge your Smart Battery Case and is even compatible with the Apple iPhone Lightning Dock. With a status readout displayed on your iPhones lock screen, you will always know where you stand on your battery’s charge. One downside I have seen so far from recent photos is that the headphone jack may make the use of some headphones impossible. 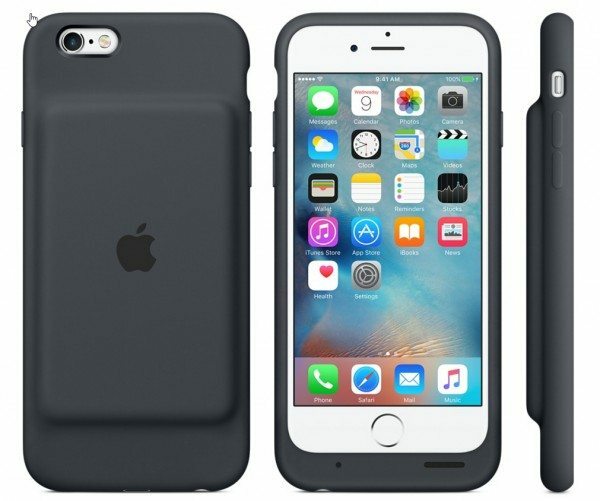 Available for $99 from the Apple, the iPhone 6s Smart Battery Case may be the battery case you are looking for. Interesting about the headphone port. Apple says that the case will work with Lightning accessories such as the cable and Lightning Dock. Audio is through a 3.5mm port. As expected, the pass-through hole is perfectly sized for your iPhone’s included Apple Earpods. However, for anything bigger, you’ll need some sort of adapter. No fancy studio-size jacks for this pack. And you’ve formed your opinion after using the product for some time? Nope. Your opinion is ill informed. This site has always been down on Apple but to post a review with “Fanboy” in it’s title is disgraceful. I’m not sure where you’ve gotten the idea that this site “has always been down on Apple”. We feature a lot of Apple product reviews. And for your information, the person who wrote this news post is a self-described Apple fanboy. Also, it should be obvious that it is not a review because it does not have the word review at the end like ALL of our reviews do. @Alan Claver, I am an Apple “Fanboy”, and I am the one who submitted the news article (this was not a review) you are commenting on. I don’t think my article was anti-Apple at all, but I did point out the one issue I could find about the case. As far as Sandees comments, I cannot say I disagree with the points she was making. Although I love Apple products, in general having the Apple name applied to it does not make it perfect, and pricing is a whole different issue. You may not agree with her point of view, but it does not make it any less pertinent to the conversation. I respect your comment but have to disagree with your sentiment. To throw everyone into the same boat because you do not like a comment about an apple article makes your comments as disgraceful as my article. I don’t find it ugly. It practical. I’m getting 2 on my trip to LA in January!